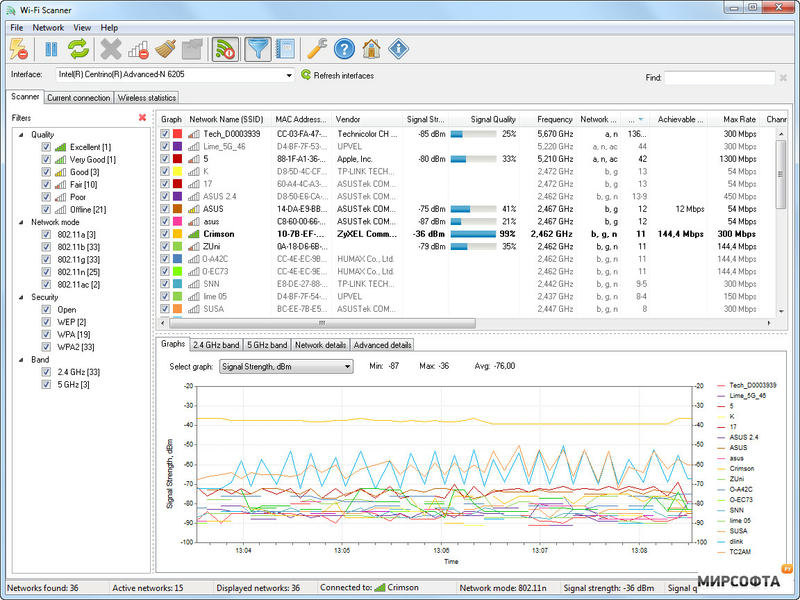 LizardSystems Wi-Fi Scanner locates visible wireless networks along with all corresponding information; including the network name (SSID), signal strength (RSSI) and quality, MAC address (BSSID), channel, maximum and achievable data rate, security, and much more. It is useful for normal access point users who need to find out the signal strength distribution for their wireless network at home or choose a position for their access point for optimal signal quality. 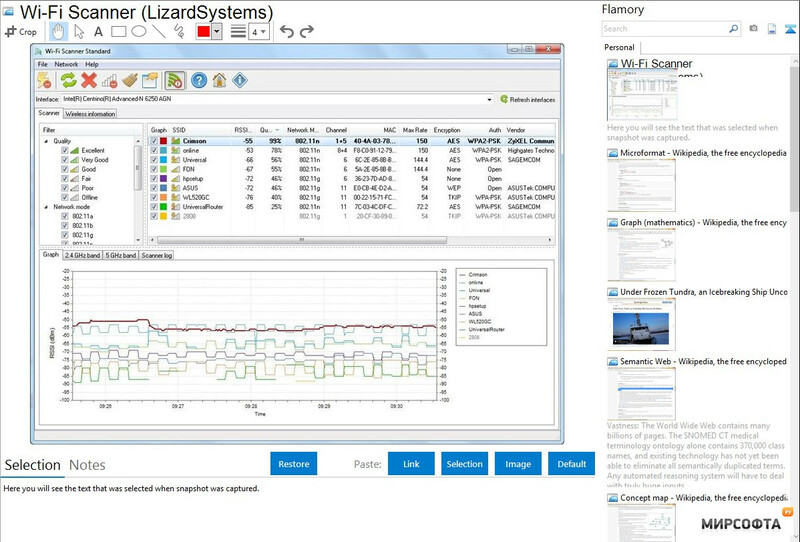 In addition, LizardSystems Wi-Fi Scanner is an indispensable tool for corporate network administrators in performing tasks such as configuration, planning and monitoring security parameters on business wireless networks. Set up is easy and you do get 10 days to test it on the unregistered version but they do require you to complete a simple registration to continue to use it for free (non-commercial). Free for non-commercial use with simple registration.